With the VLR, NYC identified an unprecedented opportunity for cities to use the SDGs as a common framework to discuss shared challenges and identify solutions. 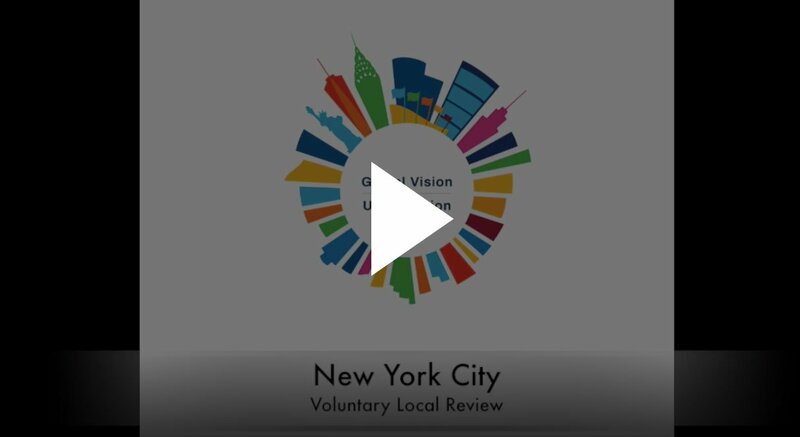 In July 2018, New York City (NYC) became the first city in the world to report directly to the United Nations (UN) on local progress in achieving the Sustainable Development Goals (SDGs) by developing a Voluntary Local Review (VLR). Cities are at the forefront of confronting global challenges. Local leadership is essential to implementing the SDGs, and the VLR is an unprecedented opportunity for NYC and cities around the world to engage in conversations about achieving them. Since December 2015, the NYC Mayor’s Office for International Affairs (IA) has used the SDGs as a common language to share sustainability innovations and challenges with cities and countries worldwide. Our efforts extend beyond words on paper. We identified the connections between the SDGs and OneNYC, our city’s sustainable development strategy. This mapping became the basis of our work to connect NYC’s diplomatic corps with communities across the five boroughs to share best practices related to NYC’s implementation of policies. Conversely, IA has also ensured that NYC’s experience and the voice of New Yorkers are included in UN policy debates. The VLR is modeled on the Voluntary National Review (VNR), which countries may submit to share SDG progress. The VLR compiles and presents existing NYC data and programs in a format that is accessible to the UN community as well as other stakeholders following the SDG process. NYC is now discussing with cities around the world how we can work together using the VLR to concretely engage in discussions both locally and globally to achieve the SDGs. The NYC Mayor's Office for International Affairs works to foster positive relations and encourage collaboration between the international community and New York City's agencies and local neighborhoods. The Office is focused on sharing New York City's policies and best practices globally, as well as responding to requests from foreign governments, the United Nations, and the U.S. Department of State. International Affairs also advises City agencies on diplomatic and consular matters, and provides guidance to the diplomatic and consular community on City-related issues.